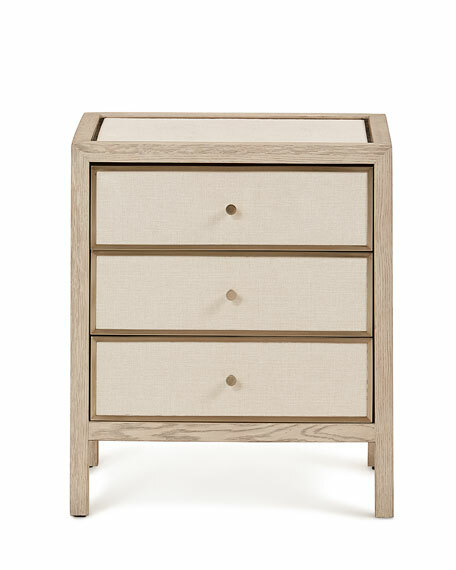 Night stand with three drawers. Inset glass top over fabric surrounded by metal frame in tarnished nickel finish. 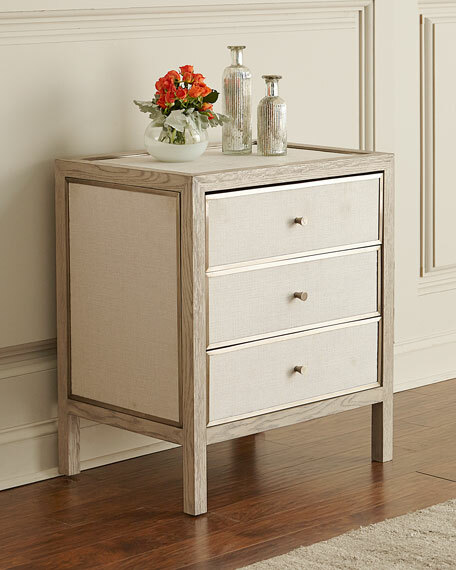 Inset fabric side panels and drawer fronts with metal frame in tarnished nickel finish. 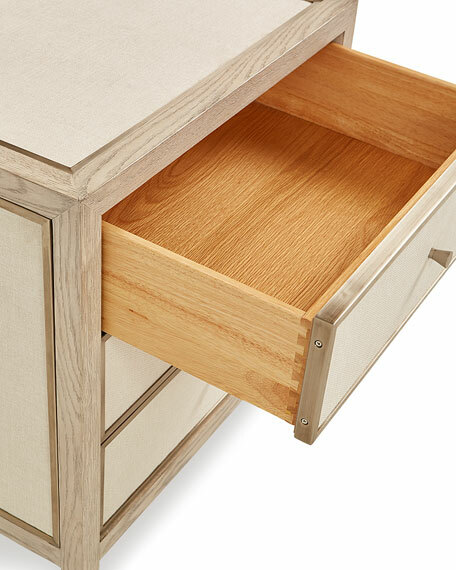 Stainless steel trim wraps drawers. 26"W x 19"D x 29.8"T.
For in-store inquiries, use sku #2660813.